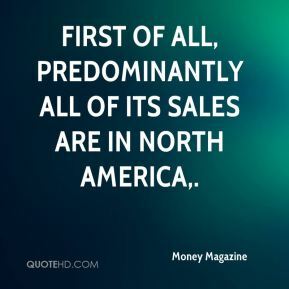 First of all, predominantly all of its sales are in North America. Step back and look at the big picture, ... 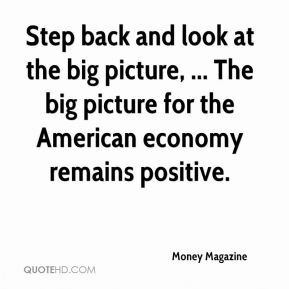 The big picture for the American economy remains positive. 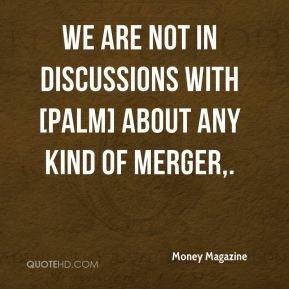 We are not in discussions with [Palm] about any kind of merger. 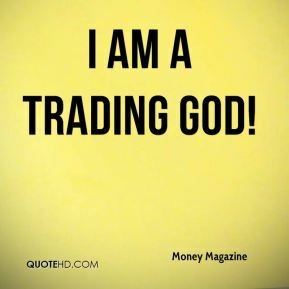 I AM A TRADING GOD! 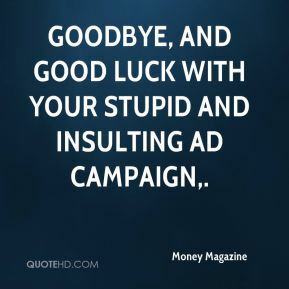 Goodbye, and good luck with your stupid and insulting ad campaign. You shouldn't rule out someone else, ... 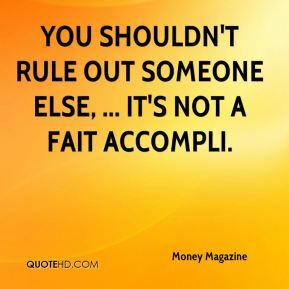 It's not a fait accompli. 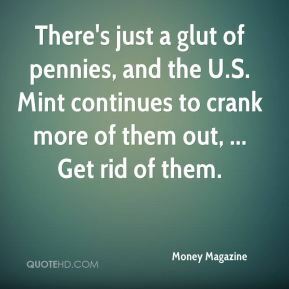 There's just a glut of pennies, and the U.S. Mint continues to crank more of them out, ... Get rid of them. 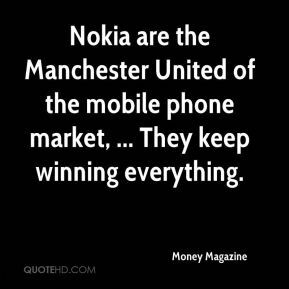 About 2.5 percent told us they had bought something from those sites, and what these numbers say is there are tens of millions ready for the digital revolution, ... 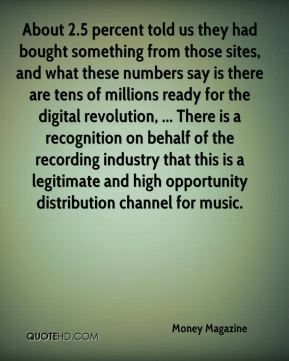 There is a recognition on behalf of the recording industry that this is a legitimate and high opportunity distribution channel for music. 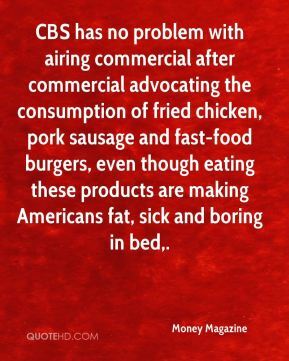 CBS has no problem with airing commercial after commercial advocating the consumption of fried chicken, pork sausage and fast-food burgers, even though eating these products are making Americans fat, sick and boring in bed. 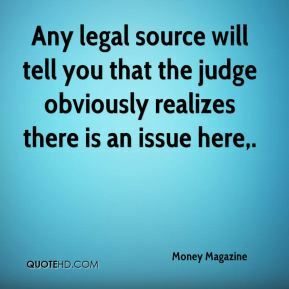 Any legal source will tell you that the judge obviously realizes there is an issue here. 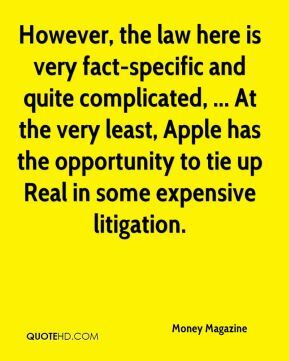 However, the law here is very fact-specific and quite complicated, ... At the very least, Apple has the opportunity to tie up Real in some expensive litigation.